Math, Philosophy and Science courses are valuable courses which will make learning Math, algebra and Theme Park Engineering more interesting and fun for the students. The Everyday Math course provides a comprehensive understanding of everyday Math including calculating interest rates, solving fractions and doing multiplication. 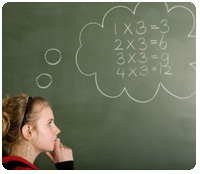 You will be able to work with symbols, variables and set elements after you complete the Algebra course. In the Theme Park Engineering course you’ll learn about architecture, ride control, show control, audio, video, acoustics, lighting, mechanics, hydraulics, and figure animation. 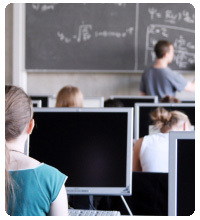 These courses will enhance the students’ abilities to use the easy to understand mathematical and algebra techniques and apply them to their everyday life. Some of the lessons have been packed with innovative and creative problem solving strategies. The courses will help the teachers and the students develop mathematical patterns and relationships. ExpertRating is a trusted name in online testing and certification with over 200,000 certified professionals in over 60 countries in more than 200 skill areas. The courses will open new avenues for understanding and applying Math in everyday life by their emphasis on interpretation and mathematical explanation. The ExpertRating Math, Philosophy and Science courses will make you familiar with innovative problem solving and calculating methods. These courses will give you a comprehensive understanding of algebra and how to use it in your daily life. You can give wings to your creativity through this easy to learn and interesting Theme Park Engineering course.